A day like today in 1967 Kathrine Switzer opened a door to the participation of women in the long distance races: the runner of German origin was the first woman who completed a full marathon running with dorsal, something that was forbidden to her gender. Not only that, but about the kilometer four, Switzer had to break out of the director of the Marathon on the run, seeking out of the circuit, although it did not. fifty years later, things have changed: according to data from the official website of the Boston Marathon, this year are registered 13.698 women, more than 45% of the total participants. Something completely unthinkable only five decades ago. 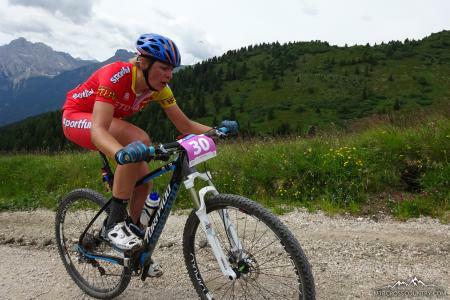 And the number of women participating in long distance racing continues to grow. Of these more than 13,000 women who have already taken these hours kick off of the Boston Marathon, the longest in the Majors, which has been held annually since 1897, the most numerous group is that of young runners, aged between 18 and 39 years with a total of 6.612 athletes. This is good news, because exceptions women will remain active in the future that will continue running and participating in more editions of these or other races are. Should be noted, moreover, that women in this age range are more numerous than men (5,369 runners between 18 and 39 years old), something that is not usual in long distance races. This year is a Special Edition: 50 years after having been the first woman to run a marathon with dorsal, Kathrine Switzer 70-year-old returns to Boston to run again and with the same race number: that 261 that has become so symbolic meaning within the visibility of women in sport.